Luis was devastated by serious medical diagnoses at a vulnerable time of his life. 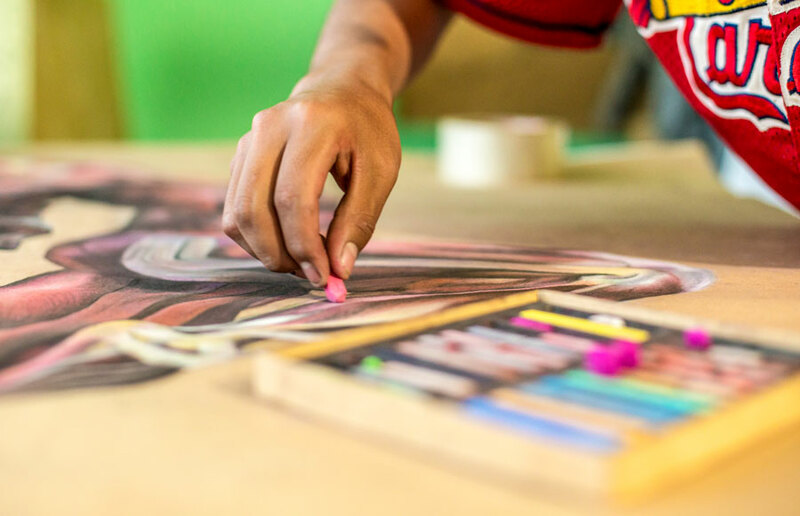 But with the prayerful support of his friends at church and the Compassion program, this talented teenager says he was released from poverty—and is now free to pursue his life’s passion: art. When Luis was around 13 years old he started to experience depression. It wasn’t because his parents couldn’t afford to buy him new clothes or because he didn’t have toys to play with, or because of any conflict in his home. It began when he was diagnosed with serious health conditions: epilepsy and a heart malfunction. When he got the news, Luis blocked out others and closed himself off. He didn’t hang out with friends and he started making bad decisions that harmed himself. He became quiet, lonely and depressed. “I felt uncomfortable. I was mentally ill and I had to go to the psychologist; I was sad. Both illnesses discouraged me, they hurt me. I remember that I used to look at the world as if it was bad for me, as if in every place I would find sadness, hate, and problems,” he says. Thankfully, as his friends at the local church centre in La Paz, Bolivia, his parents, and his tutors regularly prayed for him, Luis eventually found a way out. During a youth conference, he was touched and decided to reconcile with Jesus; now Luis knows Him in a new and special way. “Thanks to the Lord, I'm in this program where I met friends, brothers and sisters who supported my life. Emotionally, I am good. When I started to know the Lord, my life started to change. I was transformed from that sad, bitter young man who was filled with anger, into an encouraged person who wants to accomplish things. I’m a person who knows that everything is in God’s hands. He is the one who gives us happiness. Through the program, I was able to overcome all of this and I know that in God I will be victorious,” he says. 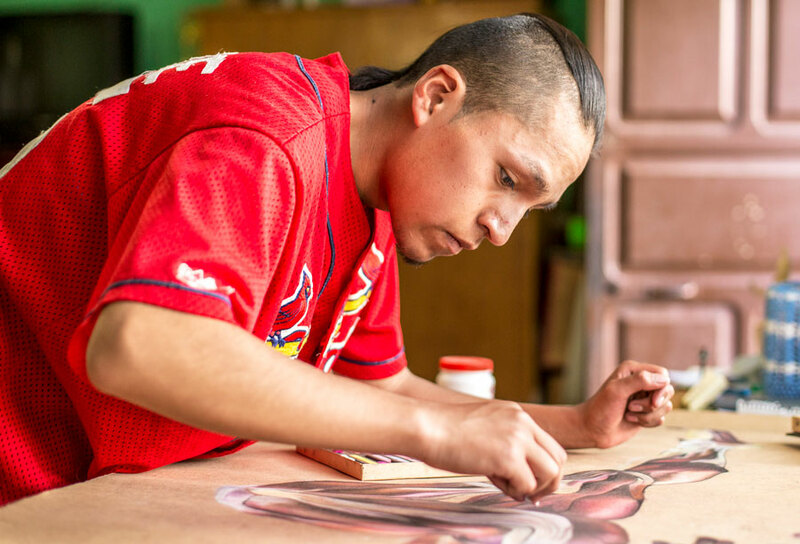 Now Luis is following his life’s passion, by studying Fine Arts in an institute. His artistic talents were inherited from his parents: he recalls his mother drawing beautifully and also admiring his dad’s stunning notebooks from school, which were wonderfully coloured. “I used to ask the Lord for an opportunity to show my talent, and when I was in 12th grade my art teacher asked me to make 10 paintings to have an exhibition. At that moment I realised it was God’s answer to my prayer. I was very happy and excited; it was wonderful for me. I arrived home to cry and thank Him,” says Luis. The local church plays an important role by supporting and encouraging his talents and studies. “Every month, I receive support to buy some art materials. The materials are expensive but I buy the ones I can afford and I try to do a great job anyway. My father always taught me that with little things we can make big things and the support I receive from the program is really good. The materials are what help me most,” he says. “The truth is that I consider myself released from my emotional poverty. Now I’m happy, peaceful, wanting to improve this world, this place, my family, my church, my project. At the child development centre, I learned that with Christ everything turns out well, so I trust my problems to Him.